Home computer network computer technology india internet day network technology technology India To Reach 500 Mn Internet Users Milestone This June – What’s Next For India? · By 2020, India will have an estimated 702 million smartphones in use and mobile phones will emerge as the preferred device for online shopping, accounting for 70% of total online shopping. · Unified Payments Interface, clocked 178.05 million transactions in March’18 – but digital payment apps dominated majority of the transactions. TiE Delhi-NCR, the world’s largest network of successful entrepreneurs and professionals hosted the seventh edition of India Internet Day today in the capital. The conference saw participation from over 500 internet enthusiasts from across the nation, brought together to go beyond prosaic and unravel the gamut of opportunities the sector presents. 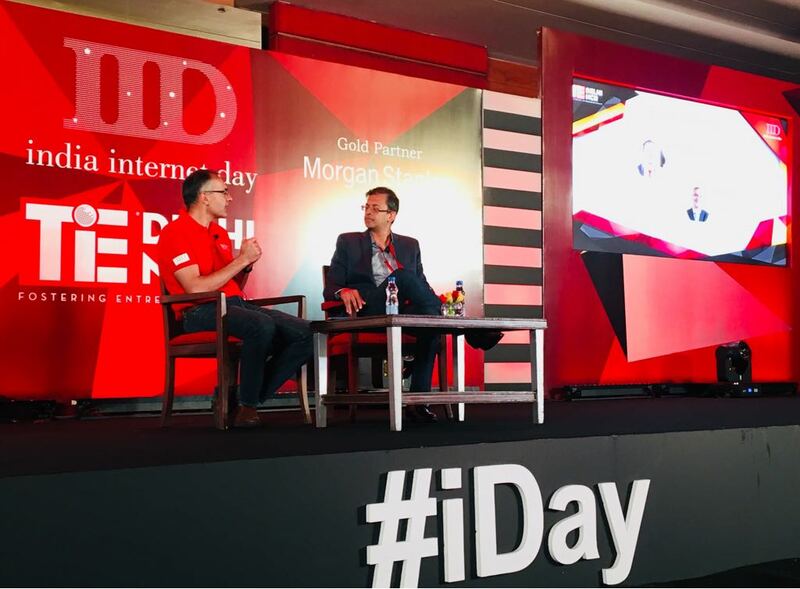 The day began with a Fireside Chat between Ananth Narayanan (CEO, Myntra) and Deep Kalra (Founder and Group CEO, Make My Trip). 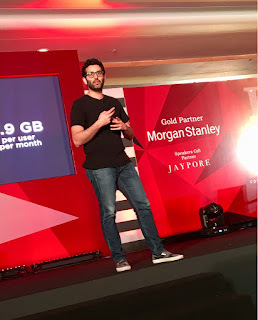 Ananth shared insights around Myntra’s back-end technology where they have employed Artificial Intelligence to predict consumer behavior – the said technology has been harvested over the years to actually differentiate what the user will buy. This was followed by an engaging session with Daniel Wetstein (Managing Director, Morgan Stanley)shedding light on the evolution of Internet economy where he highlighted the potential of internet in education and healthcare. In a first-of-its-kind move the conference saw the actual Third Wave of Internet Consumers on stage - Babita Garg (a homemaker from Faridabad), Bal Govind (a Government School Teacher from Sitapur), Dhruv Kumar (a Videographer from Barabanki), Bhagwat Singh Negi (a Railway Coach Assistant from Uttarakhand) and Yukti Sharma (a College Student, Delhi). Sahil Kini (Principal, Aspada Investment Advisors) encouraged the audience consisting of budding and affluent entrepreneurs to exchange insights on the Tier 3 internet penetration and consumption patterns. Satyan Gajwani (Vice Chairman, Times Internet) graced the stage to kick-start the next panel session titled ‘Apps that Serve the Masses’ with Farid Ahsan (Co-Founder, Sharechat) Ranjeet Pratap Singh (Co-Founder & CEO) Manish Rathi (Co-Founder & CEO RailYatri) and Saurabh Aggarwal (CEO & President, Octro). The session focused on the importance of apps in vernacular languages to tap the next 300 Mn users. The concluding statement reiterated that in a country like India accessibility in top eight languages is required. Dilip Asbe (Managing Director, CEO, NPCI) discussed online payments and highlighted thatUnified Payments Interface, clocked 178.05 million transactions worth INR 24,172.6 crore in March’18. This was followed by a discussion about the future of payments with successful entrepreneurs such as Lizzie Chapman (Founder & CEO, Zestmoney) and Upasana Taku, (Co-Founder, Mobikwik). 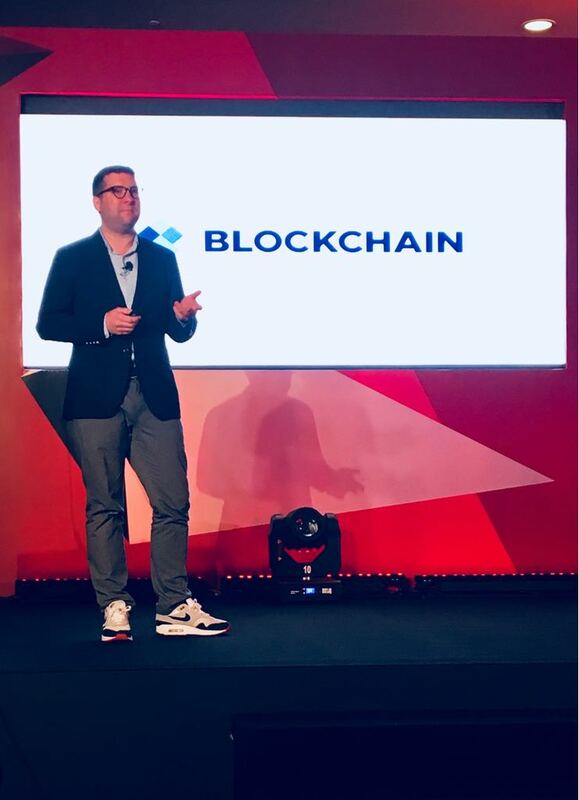 Nicholas Cary (Co-Founder and President, Blockchain) discussed the potential of blockchain to help track authenticity of any commodity. The day ended with great enthusiasm witnessing insightful sessions such as - ‘The Great Indian Challenge: Language & Design’ with Varun Khurana (Co-Founder, Crofarm), Pranshu Bhandari (Co-Founder, Hello English) Harsh Snehanshu (Founder & CEO, YourQuote), Kumar Rangarajan (CEO, Slanglabs) and Vikram Chandra (Founder, Editorji Technologies); ‘India ka WiFi - 0 paisa per MB’ with Satyam Darmora (Founder, i2e1 Technologies); ‘Elephant in the Room: Data & Security’ with Sameer Nigam (Founder & CEO, PhonePe), Prasanto K Roy (NASSCOM Internet, Mobile & E-com. Council), and Gautam Gandhi (Harvard Kennedy School); and ‘Local languages- Redefining the Lingual Face of Digital’ with Umang Bedi ( President, Dailyhunt) and Dev Khare (Managing Director, Lightspeed India Partners).